From 6 – 8:30 p.m., Disney Vacation Club (DVC) members and their guests can enjoy Star Wars-themed food and beverages, meet Star Wars characters, pose for photos with Star Wars set pieces and props, and more. Food and beverage offerings crafted for this event include hors d’oeuvres, specialty beverages and all-you-care-to-enjoy buffet featuring a salad cone station (featuring Endor Cous Cous), a small-bites station (offering Tatooine Cheeseburger Spring Rolls), a bowl action station (with Alderaan Bean Was with Basmati Scented Rice and Cilantro) and a carving station. Dessert options include Blue Milk Panna Cotta, Darth Vader Cupcakes, BB-8 Mousse Domes, and more. A DJ will also be on hand to spin a stellar soundtrack that will transport event guests to a galaxy far, far away. 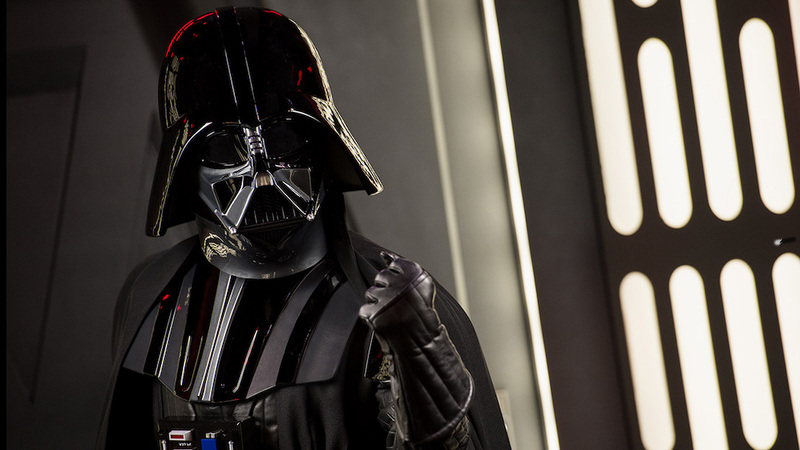 Attendance to Star Wars: Galactic Gathering is $225 for adults and $210 for children, and separate theme park admission is required. Eligible DVC members can book this experience for themselves and up to 5 guests per membership. Members can make their reservations here. So, $1,080 for my family of 5 to attend a 2 1/2 hour dessert party (Epcot admission and DVC membership not included)? Where do I sign?